The death of Steve Jobs was a major world event, accompanied by an odd but affecting outpouring of grief from people who did not know him but whose lives he had somehow touched. So I was a little saddened, but hardly surprised, when the death of Dennis M. Ritchie attracted hardly any notice outside the world of computer science. Ritchie’s work touched at least as many people of Jobs’s–they just never knew it. Unlike the showman Jobs, Ritchie toiled quietly in the vineyard’s of AT&T (later Lucent) Bell Labs where, with Ken Thompson, he revolutionized computing by making software independent from the hardware it ran on. Prior to the 1970s, software was bound tightly to its hardware. An IBM computer ran a proprietary IBM operating system and programs written in higher-level languages such as Fortran or COBOL were translated into code the computer could run using a proprietary IBM compiler. Ritchie’s biggest contribution was the C programming language. C was a new sort of language, high level enough that could be written relatively quickly and without knowing much about the architecture of the computer it would run on, but with enough low-level control over things such as memory allocation that it could be used to write the operating system itself. And the first great accomplishment of C was the writing of the UNIX operating system, on which Ritchie collaborated with Thompson. It was the first machine-independent operating system. Originally written for Digital Equipment minicomputers, it was quickly ported to run on a vast variety of hardware. Today, UNIX and it descendants, which include Linux, Mac OS X, and Android, run on everything from telephones a TV set top boxes to the world’s largest supercomputer. Though little known by the public at large, Ritchie was extensively honored by his fellow computer scientists. He received the Turing Award from the Association for computing Machinery, the Hamming Medal from the IEEE, the National Medal of Technology, and the Japan Prize. 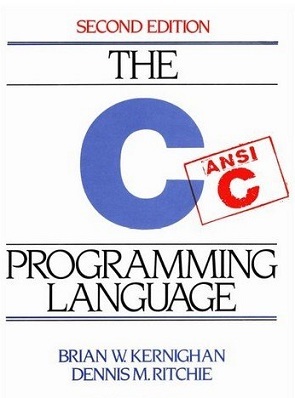 His memorial sits on the bookshelf of just about anyone serious about programming, a slender white volume he wrote with Brian W. Kernighan called simply The C Programming Language and known universally as K&R.